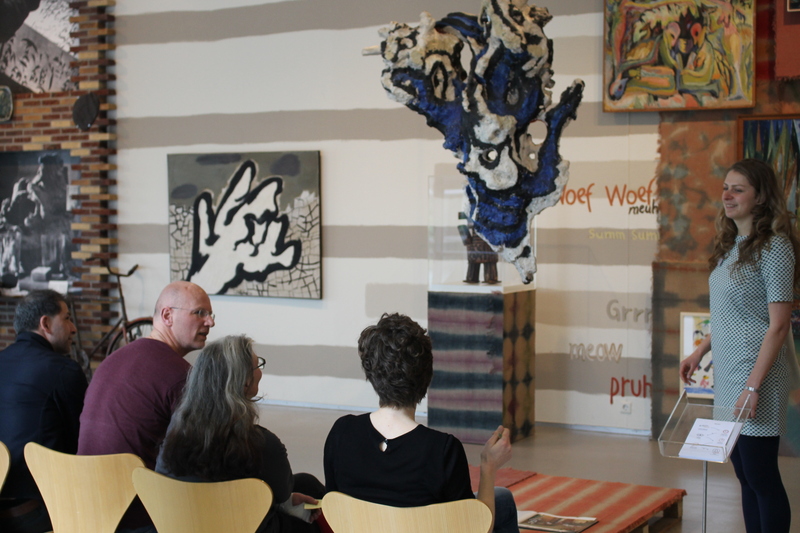 We had a great Slow Art Day at the Cobra Museum for Modern Art! In three organized art walks, visitors were challenged to look slowly, to genuinely take their time and lose themselves in the works of art. Participants looked with awe at four selected works, discussed with each other, learned from each other. For those who preferred to look on their own we created two guides with several tips. Also we distributed notebooks and pens, so everyone could write down their discoveries. Quickly there were visitors watching and writing vigorously everywhere. Afterwards visitors could chat about their experiences in the museum café whilst enjoying a complimentary beverage. Here we heard many enthusiastic stories about the tour. Even works of art that didn’t seem so interesting at first, turned out to be quite captivating. I really think Slow Art Day is a keeper!